It’s time for another post in my series of featured fashion bloggers – today I’m featuring fashion bloggers with a really unique sense of style! When that is all you see (I’m looking at you, rewardStyle and your “Spotlight On” feature), you find yourself craving quirky. Or kooky. Or loud. Or bold. Or colourful. Or anything that’s different to leggy, tanned 20-somethings making their way round Coachella in cut-off jeans and fringed everything. YOU FIND YOURSELF CRAVING QUIRKY. OR KOOKY. OR LOUD. OR BOLD. OR COLOURFUL. OR ANYTHING THAT’S DIFFERENT TO LEGGY, TANNED 20-SOMETHINGS MAKING THEIR WAY ROUND COACHELLA IN CUT-OFF JEANS AND FRINGED EVERYTHING. 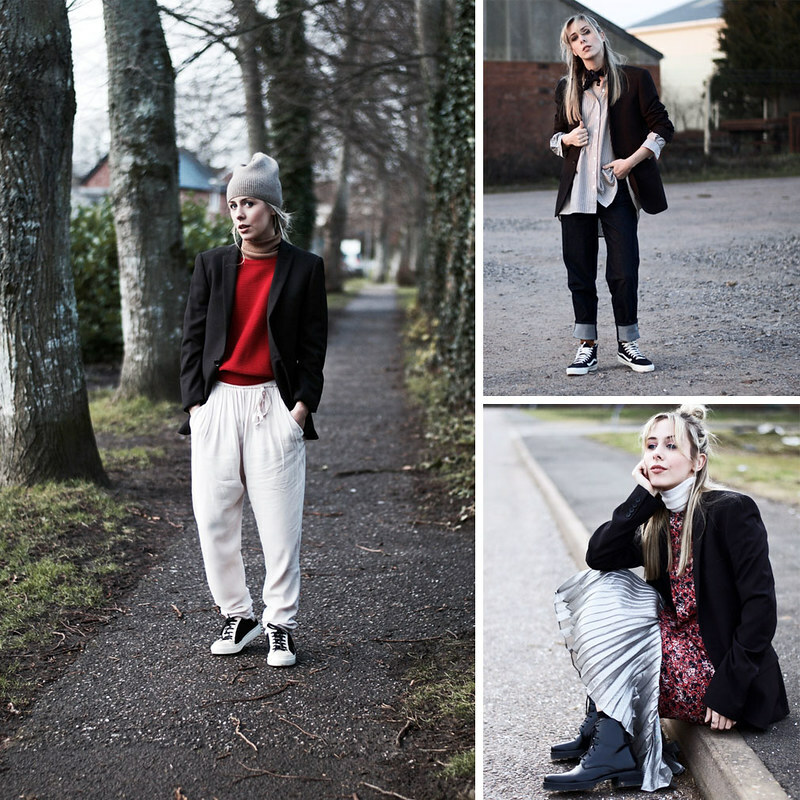 So I’ve picked out bloggers whose style I admire greatly for their ability to step out of that tanned, minimalist, sleek box and just have fun with what they wear – and show off a huge amount of creativity and individuality. They don’t look like anyone else. They just look like, and dress for, themselves. They’re true style bloggers rather than fashion bloggers; fashion bloggers are often ten-a-penny and all much of a muchness. So if you’re tiring of that generic fashion blogger “look” that’s all over Instagram then get yourself comfy, make yourself a cup of tea and enjoy these ladies and their originality. HAVE YOU FOUND ANY NEW-TO-YOU BLOGGERS THAT YOU’RE NOW OBSESSING OVER? (I HOPE YOU HAVE!) 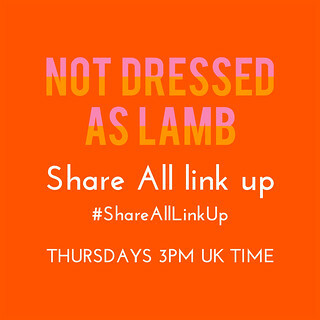 TELL ME IN THE COMMENTS OR TWEET ME @NOTLAMB! I’ve mentioned Daniella and her incredible style a few times before – her way with layering and textures is like nothing I’ve ever seen. For someone so pretty, blonde and petite, she goes against everything she’s “supposed” to wear and goes for masculine chic looks and ensembles that really shouldn’t work, but just do. 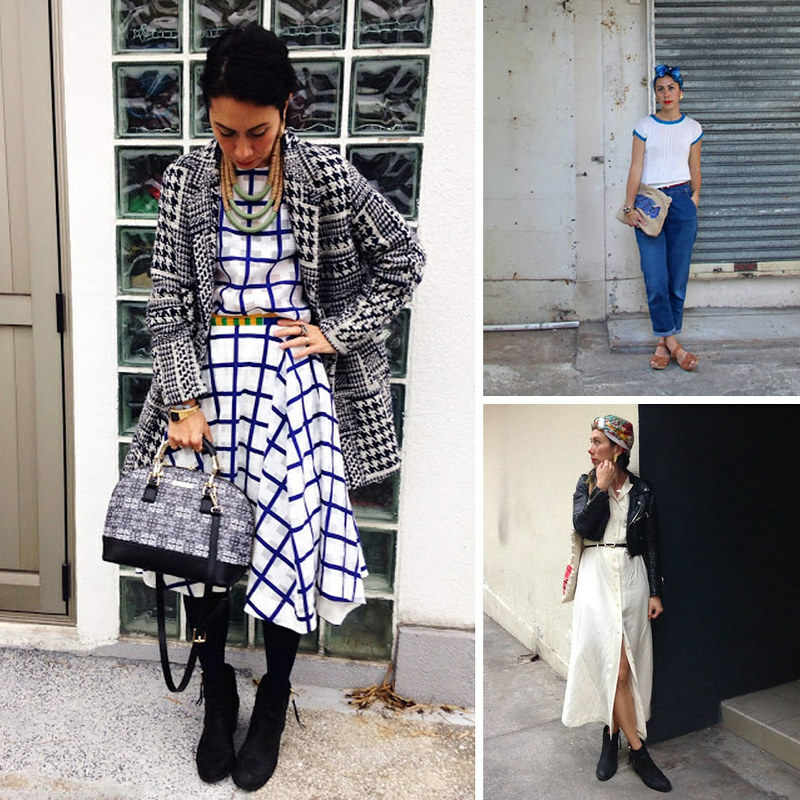 She’s the very definition of individual style – Daniella dresses like absolutely no one else. You can’t really mention Kelsey without mentioning her husband Jake as well – the blog may be called Kelsey Bang but it’s just as much about his style as it is about hers. 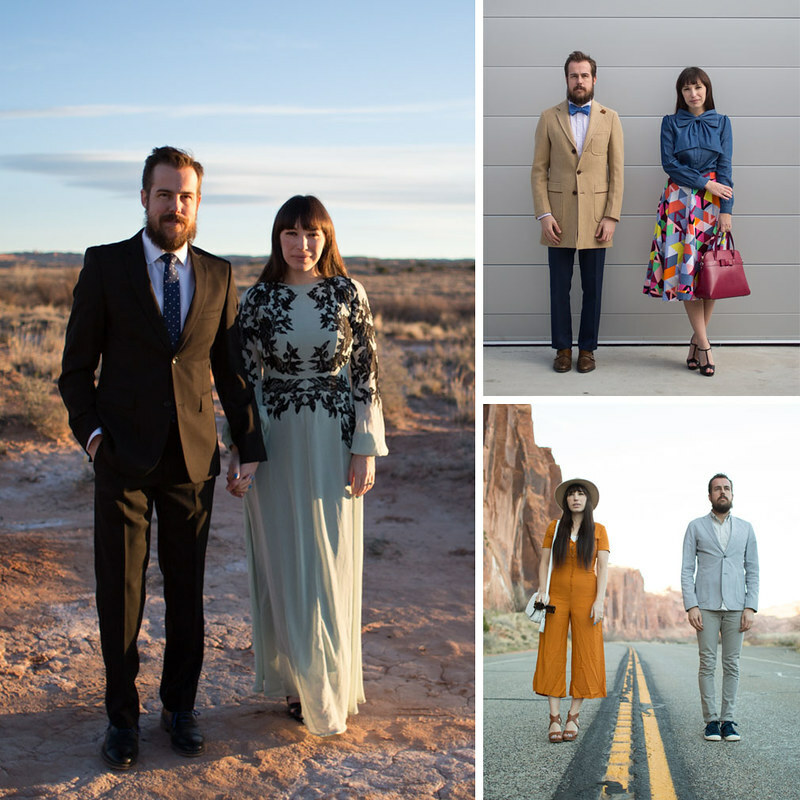 With their adorable, static poses and stunning locations and photography, the blog is as much a visual feast as it is about their quirky style. Kelsey is often in bold midi skirts, bright colours and pattern, then throws in some retro vibes and hippy touches every now and then. Guys can’t go wrong picking up a few style tips from Jake’s fantastic style either. Melanie is loud, bold and unapologetically having fun with what she wears. Sporting some of the funkiest, craziest ensembles the blogosphere has ever seen, she revels in flares, pattern clashing, floor length coats and the brightest faux furs. When someone’s having that much fun then I’m 100% in. Kristabel’s style is pretty eclectic so it’s hard to pigeon-hole her style (always a good thing in my eyes). With interesting patterns, pretty colours and a few funky touches as well as feminine dresses, she’s always one to surprise in a really good way. 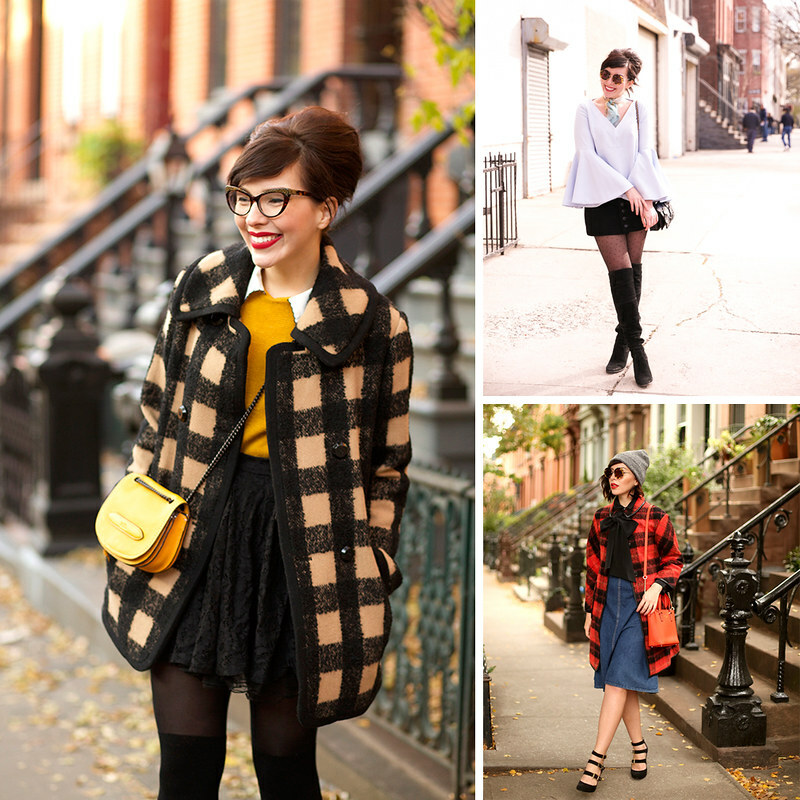 One of the (what I call) “old school” fashion bloggers, Keiko’s style has always been quirky and a little bit retro. With a lot of vintage and quite a bit of cutesy, she’s managed to maintain her bubblegum eccentricity in an online world obsessed by monochrome, copper and marble backgrounds. 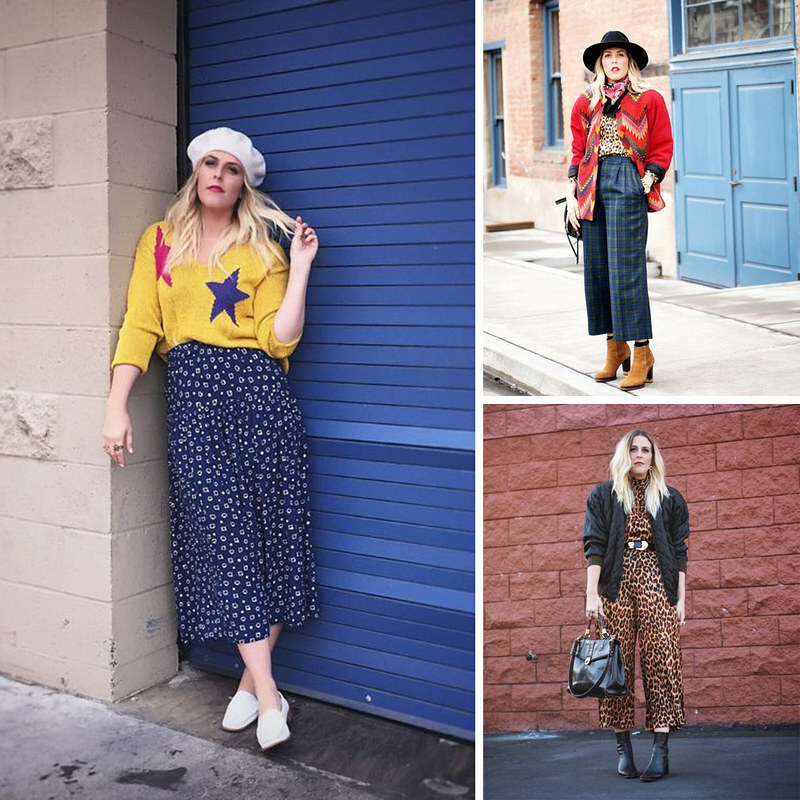 A list of bloggers with a unique sense of style wouldn’t be complete without Sacramento – there’s no one that rocks thrifted skirts and dresses in wild colours and patterns like she does. She’ll always add some interesting (and often DIYed) accessories or jewellery, style up a man’s shirt or wear a blouse backwards. I love being surprised and delighted by her style every time. Like Keiko, Elizabeth is one of the old school bloggers and still maintains her unique sense of style after many years of fashion blogging. Apart from a penchant for vintage, there’s no real way to describe her style – but that’s what I love about her. With the wildest untamed curls (that were, until recently, tipped in bright green) and a huge sense of fun that comes out in her beautiful photography, she’s been (and will remain) one of my favourites for ages. 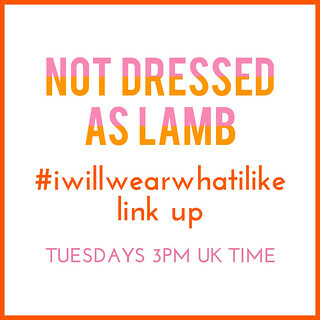 I only discovered Norbyah last year after starting the #iwillwearwhatilike campaign – and discovering that she too has an affinity for women who throw caution to the wind and wear whatever they damn well like. An expert at tied head scarves and midi skirts, her style has more than a few retro vibes but is always fun and funky – and very wearable. Last but not least: Beth, who goes against all those Californian girl clichés and shows off her expertise at wearing head-to-toe thrifted and vintage outfits on a daily basis. She’s one of the most eclectic dressers ever (this is totally how I wish I dressed) and one of the first bloggers I ever followed. She had a short hiatus from posting her outfits last year but she seems to be back and better than ever. Thank you for a great list. I am going to make the time to look at each one because they look very unique! Hi Catherine! I just wanted to let you know that I featured this post on my recent Little Bits of Inspiration post where I highlight inspiring things I read on the internet. So, thank you for inspiring me! 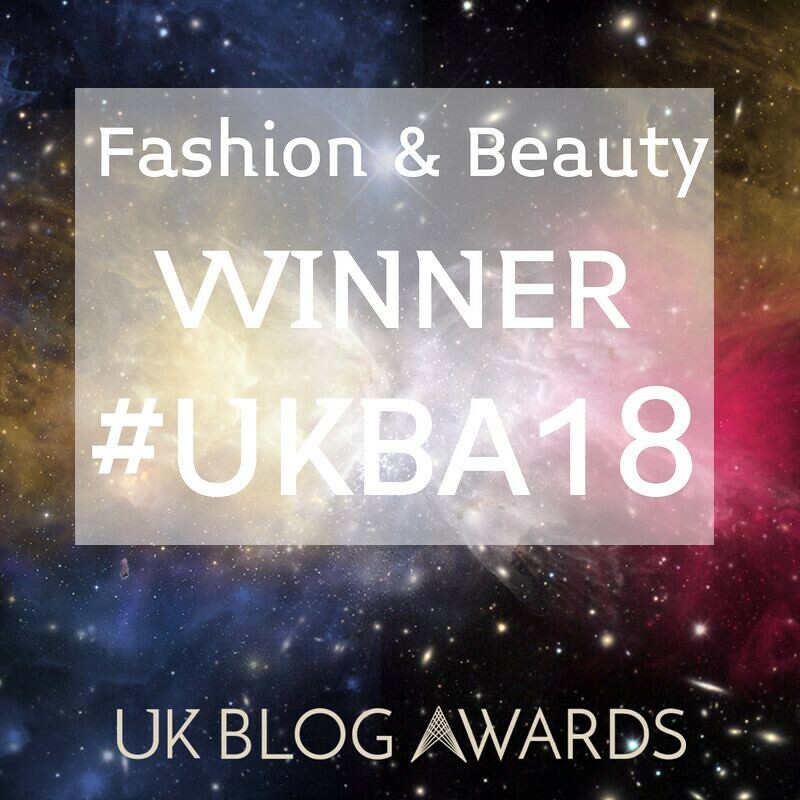 And also a thank you to the 9 fabulous bloggers you featured here for always be fabulous! Please stop by and see who else has me inspired! Exciting to see these ladies (and gentleman! ), most of whom I have not heard of before. Thanks for doing the research for this since I know it probably took a lot of time. Catherine! you are the sweetest! we feel so honored to be on your list! I can't wait to check out these other ladies! so cute! I really really am flattered to be included with these 8 other ladies whose own sense of style is such an inspiration. Thanks so much for featuring me. What a thrill for a Monday. I've got a few new instagram accounts to follow now. Wow! 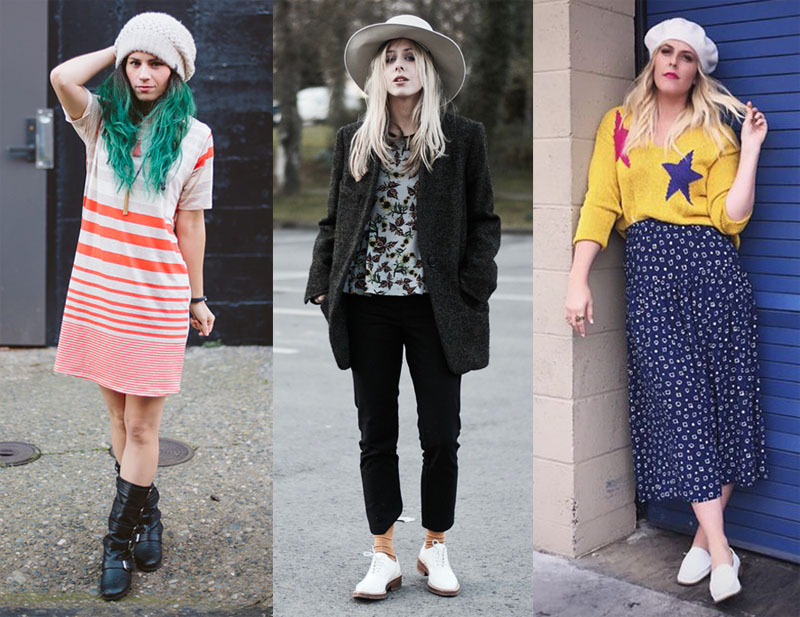 Awesome list of amazing style bloggers! Thank you for putting this together. They have definitely gained a new follower in me (the ones I wasn't already following)! I guess I need to start stepping up my game! This is great! This is actually my first time hearing about all of these ladies! I will have to check them out! Thanks for sharing! What a great line up of fabulous individuals you've picked here. I'm always pleased to come across the quirky, the outrageous, the refreshingly different in anything including fashion bloggers. We are bombarded by images of the chic, groomed, generic beauties every day so it's wonderful to see you support these outstanding women (and man). Bravo! I commented before before out of joy, but I had to come back and let you know what a fabulous piece of writing, dear Catherine. I am so very proud to be in this list. Truly honoured. You pulled together an exquisite group of bloggers!!! I'm so thrilled to see you feature & truly admire their individuality. 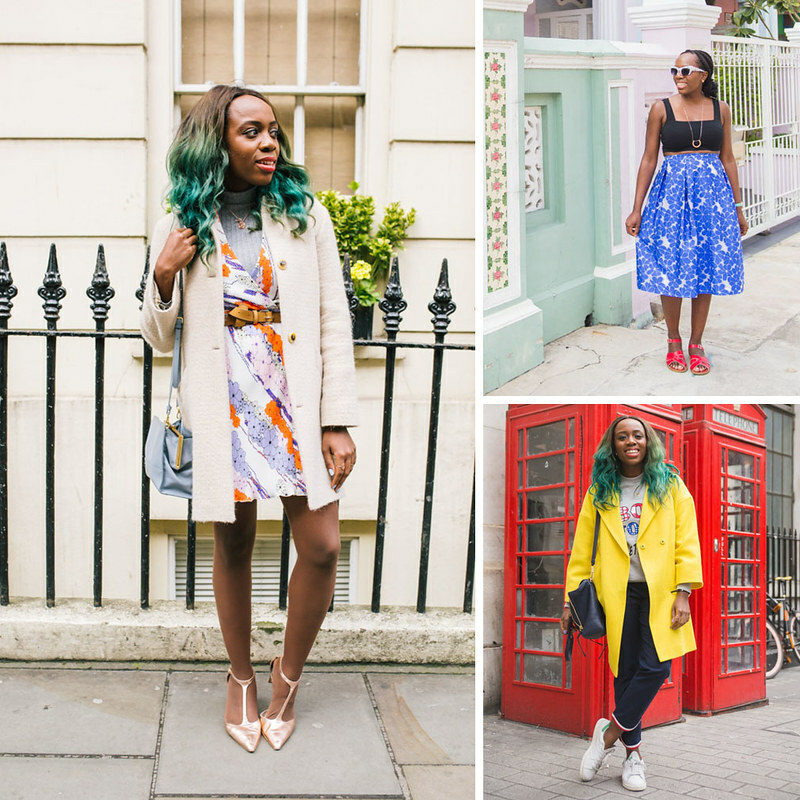 In a sea of 20-something look-a-likes, these ladies stand out with such pizzazz & confidence. And, yes "same is lame"….. I'm so over the typical blogger & have stopped following most. Thank you so much for introducing these ladies to us, so happy to know I only followed a few & excited to have more style, color, boldness to follow on IG & have more great reads through their posts. Yes, they are stylist in every sense of the word! You have featured really unique characters and style icons and they do exist at any age..
Catherine, I'm thrilled to be included in your list! It's so easy to feel lost in the crowd, and your positive encouragement really gives me a boost. I have looked up to Sacramento since I started blogging but I also thank you for the introduction to these other women. Have a great weekend. You've hit the nail on the head Catherine – instagram is full of those tanned/young/Coachella types. Every time I see one I just think "whatever" and keep scrolling. On the way home after the blogger meet up I got an idea for a blog post and started making notes in my lovely new notepad 🙂 After spending the day with so many brilliant and stylish ladies it was impossible not to be inspired! I couldn't agree more, Catherine. It does become repetitive after a while seeing the same old same old. These bloggers are like a breath of fresh air. 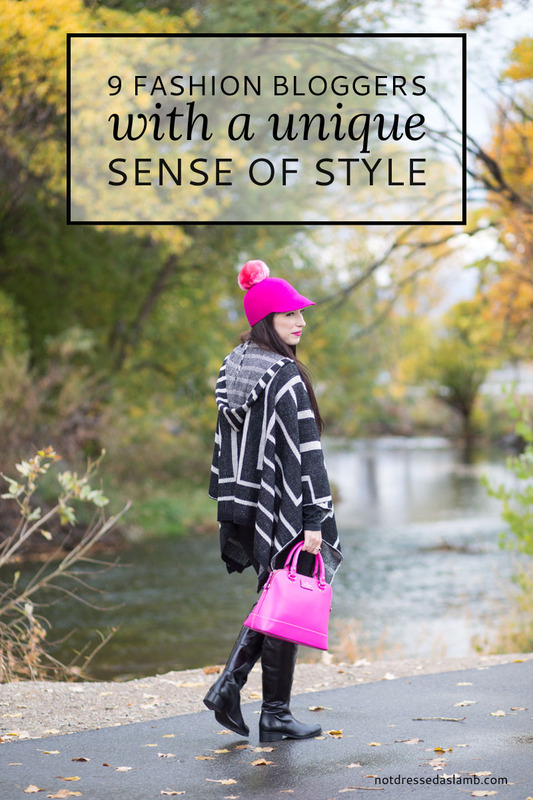 Adorable Catherine – love this style of blogger – the ones that simply are the way they are – characters and fun! Thanks Catherine and have a fab weekend! What a brilliant group of women. I am inspired and delighted to have found great style to follow on instagram and amazing blogs to read. Super selection! I love that I only know two of these bloggers (Sacramento and Melanie, both of whom I adore… and follow!). Now I have some new bright original sparks to add to my Instagram feed and blog reading list. I agree that it is SO refreshing to see people wearing things that reflect REAL STYLE rather than current fashion. Thanks Catherine! It is amazing the uniqueness that is found in blogging—-I'm like Greetje in that I'm way more conservative. But I have learned to love looking at these creative sorts—even if I wouldn't wear the exact outfit—I believe I can learn & gain inspiration from them! You always do such a nice job promoting others Catherine—what a fabulous trait in you! You have made a lovely list of stylish ladies. I am so glad you included Melanie and Sacramento, who are wonders of uniqueness to me. So creative. Love all the other individual ladies as well. I stumbled upon Norbyah through Ann of KrembdelaKremb. She is unique too. As you know I am much more conservative, but I do enjoy there boldness and their creativity. PS… trying to make a blogpost about the 3040 Bloggermeet and going down the rabbit hole every time I need a link…. I want to follow them all RIGHT NOW! These round-ups are absolutely brilliant. 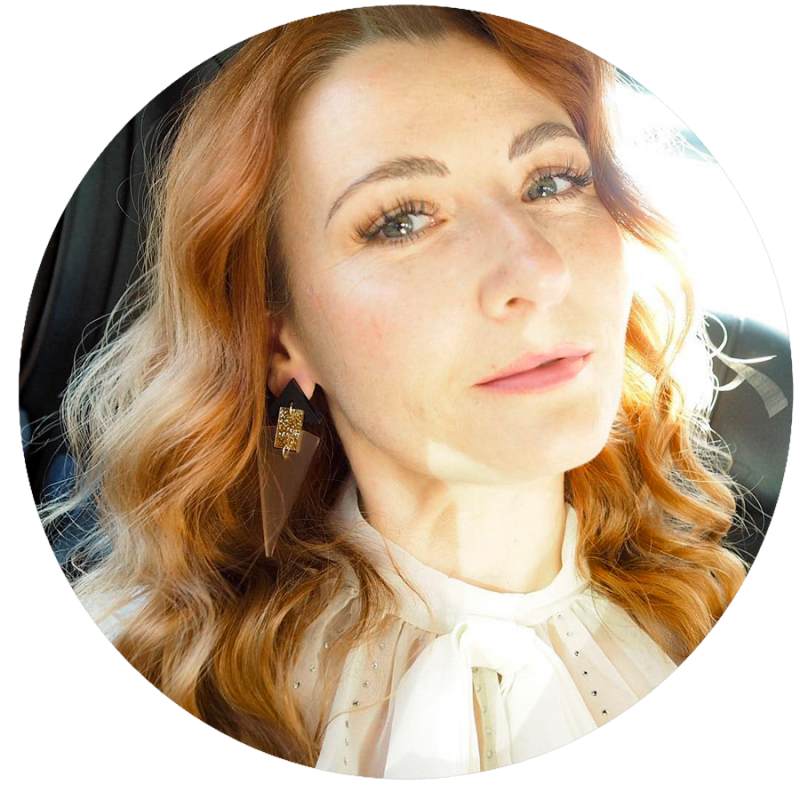 Thanks for doing them, Catherine (not only because you featured me last month and sent me so much traffic and love and completely made my month doing that…. phew long thought), you know about the BEST blogs, big and (like me) little alike. I love that you read so many different ones and share the inspiration. I now am totally jonesing to do some more retro looks!! I love all of these…so creative and inspirational. Thanks for sharing.